This style of menu page features bordered rectangular buttons with rounded edges on the top and bottom of the button list. Each button on a 'Web Kit Menu' page features a line of editable text and the option to insert an image on the left side of the button. 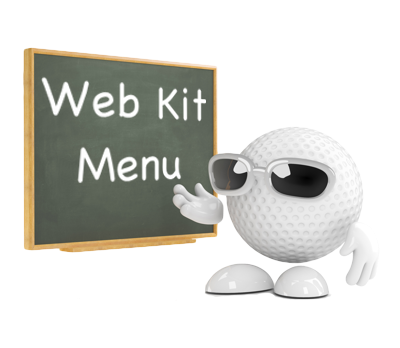 The 'Web Kit Menu Page' also has header and footer images which allow you to insert a preferred image at the top and bottom of each page. Each button can be configured to link to another page or execute a specific function. Each button is fully customizable. 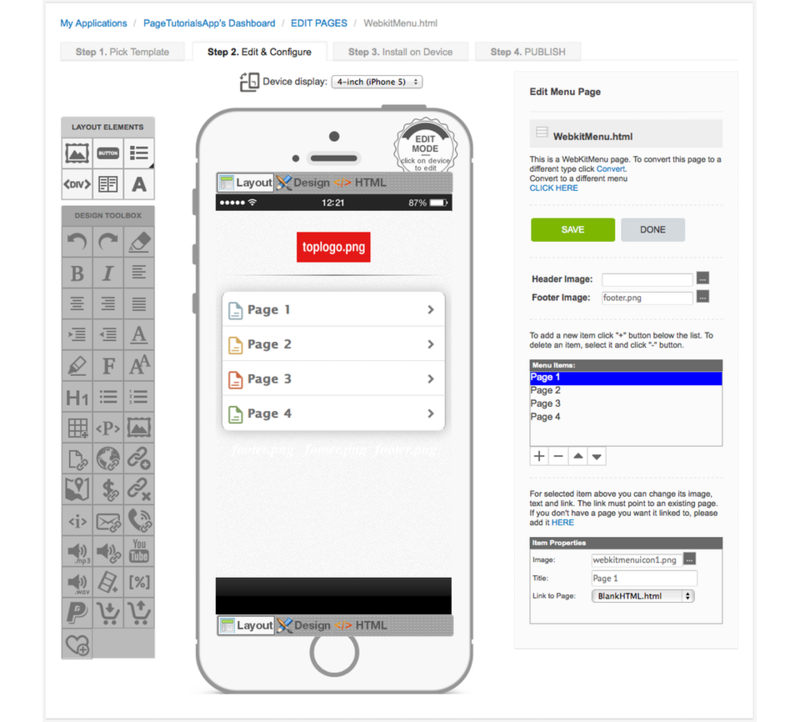 You can create as many buttons as you like, change their order, function, size, colour, border, text size, font type and more... Any image can be inserted as the button icon. For information on how to edit the buttons on this page type, go to How to Edit a Button.